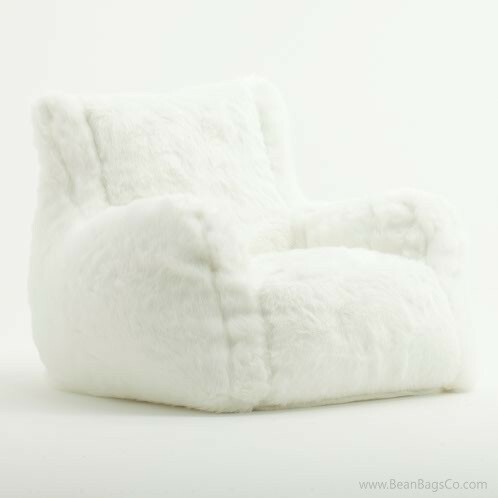 If you have ever wanted the ultimate in beautiful, soft, luxurious faux fur for a piece of casual furniture, now is the time to try it out with the Big Joe Lusso bean bag chair in lovely white faux fur. 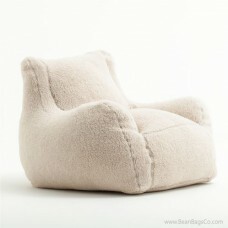 This soft, warm, incredibly comfortable chair will give you the very best feeling against your skin you can imagine, cradling you in warmth and softness. Best of all, all this luxury is easy to keep clean. The SmartMax fabric cleans up with just a damp cloth for spot cleaning, so your chair always looks great! The double-stitching gives you the ultimate in protection as well, so your chair lasts through years of hard use. 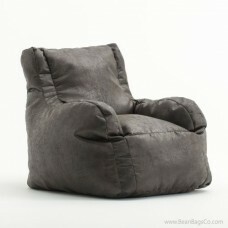 Filled with UltimaX bead filler, this chair is surprisingly supportive for one so comfortable. The bead filler conforms to your body, providing ergonomically-correct support for your back, head, shoulders and neck. 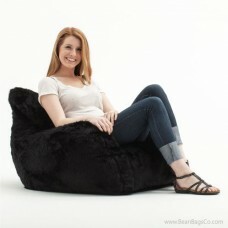 You can spent hours sitting in your Big Joe Lusso bean bag chair, enjoying the lovely faux fur sensation—that is, if your family will let you!